I am trying to set up table (IR FORM Table) which will give me back record under certain condition. 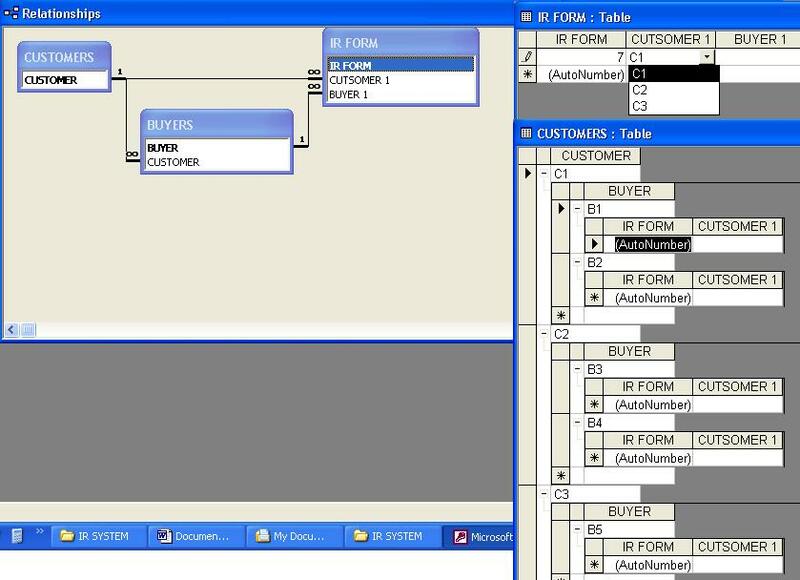 On my "IR FORM Table" in "CUSTOMER 1" I want to choose one of the existing customers for example C1 and next expecting to have on "BAYER 1" only B1, and B2 available to choose. Do I need to set a query for BAYER 1 if yes then How!